Is Russia's warning on Georgian wine about consumer protection, or geopolitics? Russia, the world’s biggest drinker of Georgian wine, has threatened to tighten control on alcohol imports from Georgia in a step many take as a political shot across the bow. About 16,000 liters of Georgian alcohol were denied entry to Russia during the first half of 2018, Russia’s federal consumer protection agency, Rospotrebnadzor, announced in a July 19 statement. The shipments did not meet “the standards defined by technical regulations and Russian law for consumer protection,” the agency declared. Russia, to be sure, still tossed back 24 million bottles of Georgian wine over that period, representing a 24 percent spike from the year before, according to Georgian export statistics. Last year, Russia gulped down almost 48 million bottles of Georgian wine, 62 percent of all wine exports from Georgia. Georgian National Wine Agency said that in the first half of 2018 barely 90 of almost 5,000 samples of wine failed to pass “organoleptic” checks – the scientific term for wine tasting, a big part of the agency’s job. Per Georgia's “Law on Vine and Wine,” as it's called, “all categories of exported wines are subject to mandatory tasting,” the agency said. But few in Georgia believe that the real issue is quality assurance. Wine has long been a proxy battleground in Georgian-Russian tensions, otherwise centered on a territorial dispute and Georgia’s ties to the West. When things go sour on the geopolitical front, so does Georgian wine, as far as Moscow is concerned. In the past, Russia banned imports of Georgian and Moldovan wines in barely veiled retaliations for the two former Soviet satellites' defiance of Moscow. Russia also has famously picked food fights with other neighbors, like the Baltic states and Turkey. Russia and Georgia severed diplomatic ties in the wake of the 2008 war and what Tbilisi sees as the Russian occupation of Georgian territories, the breakaway regions of Abkhazia and South Ossetia. But Georgia has still failed to wean itself off its dependence on the Russian market, just as Russia remains hooked on Georgian wine. 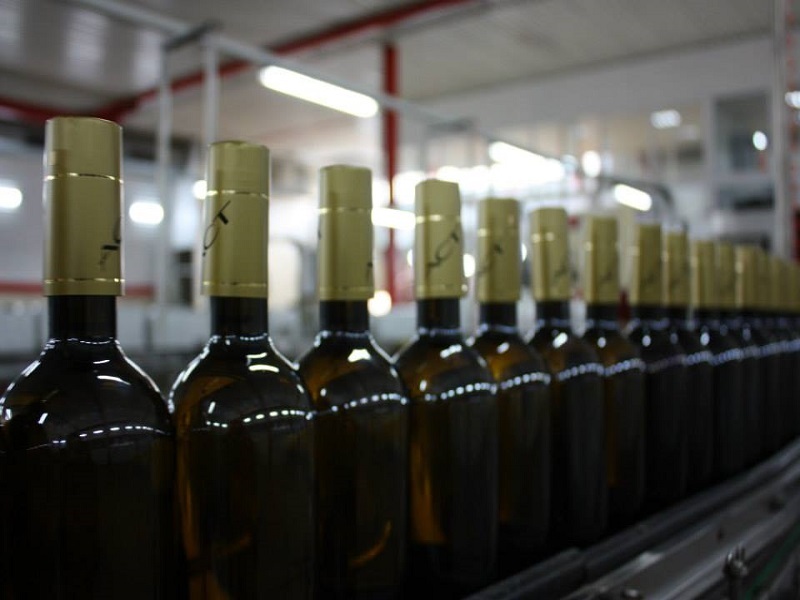 Once the wine cellar of the Soviet Union, Georgia has been trying to diversify its alcohol exports beyond the ex-Soviet world, not least to free itself of dependence on the Russian market. Georgia’s boutique and kvevri wines [vinified and aged in clay vessels] have gained popularity among European and American oenophiles, but Russia still remains by far the largest outlet for Georgian wine and can potentially charge a political price for it. This time, the concern over wine quality appears timed to the recent NATO summit in Brussels. In fact the alliance offered little indication that Georgia is moving closer to the long-desired welcome into the Western alliance, repeating only its pro forma boilerplate that Georgia will become a member one day. Despite the slim prospects for membership, Georgia has been steadily increasing its ties with NATO and will host large-scale war games in August. And following the summit, Moscow issued a warning that Georgia will face consequences if it brings NATO closer to Russia's borders. “Georgia has turned into an element of Western strategy aimed at containing Russia in the Black Sea area and the South Caucasus,” Russian Foreign Ministry spokesperson Maria Zakharova told Georgia’s Rustavi 2 TV. Along with that warning, Zakharova offered Georgia to restore “good neighborly relations,” meaning that Georgia gives up its claims over the Russian-backed separatist regions of Abkhazia and South Ossetia, and its quest to join NATO. As Georgia is not expected to compromise on any of this, Georgian wine can be expected to keep going bad in Russia.